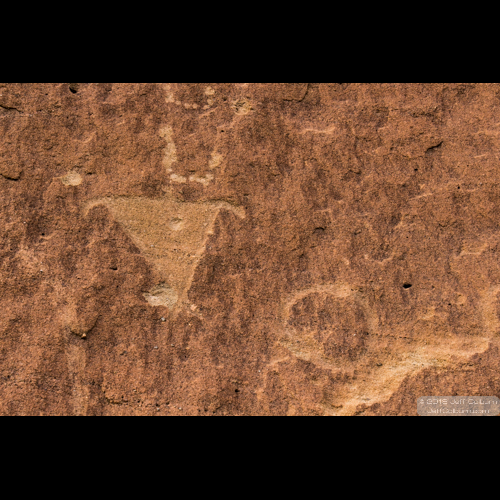 I found these petroglyphs while exploring the arches around Aztec, New Mexico. I found several petroglyphs in this one area, but I did have to hunt around for them. If you go here, I would suggest keeping your eye out for rattlesnakes.